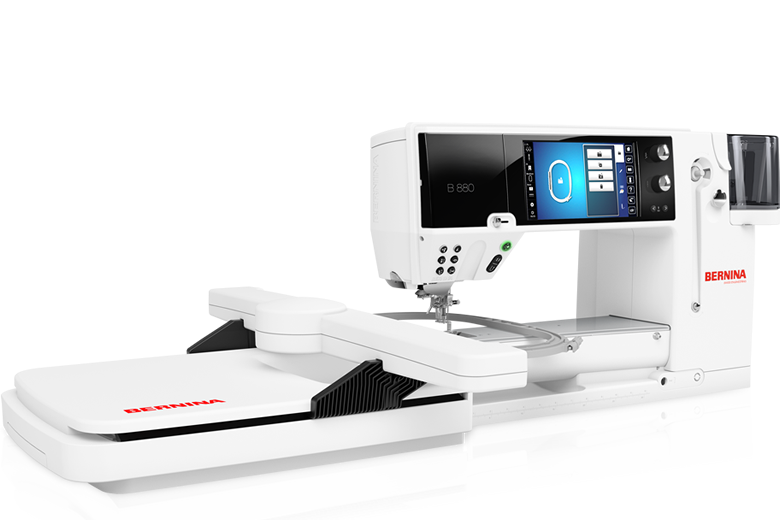 The BERNINA 880 E is a sewing, quilting and embroidery machine that is designed to automatically respond to your needs. With features such as the automatic presser foot, needle threading and thread cutting, as well as an extra-large bobbin and the exclusive BERNINA Stitch Regulator, you can focus on your sewing and not the machine. The 880 also includes new tools such as the Stitch Designer, Shape Designer and Color Wheel to create your own stitches and patterns. Quilters will love the 12" extended freearm and the extensive stitch and design library will make it easy for embroiderers to personalize their embroidery projects. The Bernina 880 really does let you enter the world of endless creativity. Length of freearm to the right of the needle: 12"